The second Johannesburg Biennale, organised by Okwui Enwezor in 1997, was a pivotal moment in the presentation of contemporary art in South Africa. The response on the ground was marked (and marred) by tension between the local and the international and, in essential ways, the immensity of the achievement of the biennale team went unacknowledged. Combined with a fraught relationship to its principal funder, the City of Johannesburg, these tensions illustrated an event that was, or so it appeared, out of sync with its context. When the biennale is invoked in South Africa in the present day, it is mostly as an illustration of the country's seeming inability to realise a recurring international exhibition. Its theme, Trade Routes: History and Geography, as well as the positions it staked out, the structure it invented, and the debates it sparked, appear to have been forgotten, although they have significantly influenced most large-scale international exhibitions since. 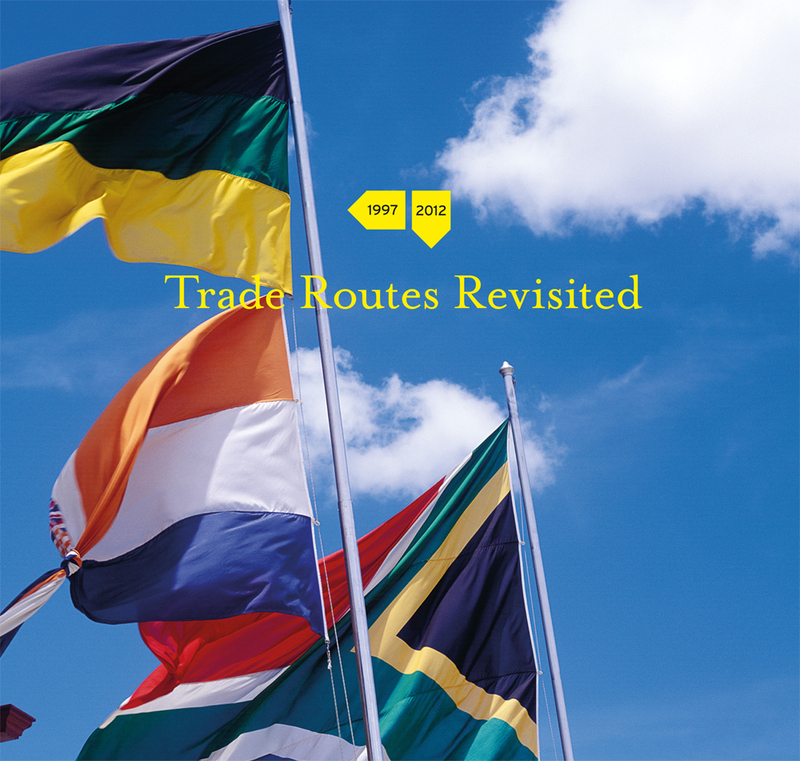 Fifteen years on, Trade Routes Revisited - a series of three exhibitions and this publication - reflects on arguably the most important exhibition in South Africa ever, and a seminal exhibition in the history of biennales.